The industrial oils, such as transformer, turbine, insulating, lubricating, demand special attention. The correct operation and safety of various industrial equipment directly depends on their condition. So industrial oil quality improvement creates a good perspective for the work of transformers and other similar devices. It is important to remember and follow range of oil quality indicators. First of all, there are visual features that can saу whether the oil is in good or bad condition and need to be improved. 1. Color The oils in a proper condition should have yellow or pale yellow color. If it is dark yellow, brown or even black then it is obvious that the working aggregate has a poure condition and the oil quality improvement is necessary in this case. 2. Visible particles That is the other evident factor of industrial oil impurity and unfit state. 3. Turbidity and lack of transparency The next necessary point is that oil should have transparent view and have no signs of sedimentation. The other parametrs can be testified through further analysis like level of contamination and it’s origin, viscocity, temperature cganges, water, gas content etc. There is another group of features that are important for proper work of transformer, turbine, transmission and hydraulic system etc. 1. Dielectric Strenth The dielectric strength of an insulating oil is a measure of the oils ability to withstand electrical stress without failure. The oil tests can involve applying an ac voltage at a controlled rate to two electrodes immersed in the insulating fluid. Clean dry oil has an inherently high dielectric strength. Contaminants such as water, sediment and conducting particles reduce the dielectric strength of an insulating oil 2. Acidity or Neutralisation Number(NN) Acids in the oil originate from oil decomposition/oxidation produc ts. Acids can also come from external sources such as atmospheric contamination. These organic acids are detrimental to the insulation system and can induce corrosion inside the transformer when water is pres ent. An increase in the acidity is an indication of the rate of oil deterioration with SLUDGE as the inevitable by-product of an acid situation which is neglected. The acidity of oil in a transformer should never be allowed to exceed 0.25mg KOH/g oil. This is the CRITICAL ACID NUMBER and deterioration increases rapidly once this level is exceed. 3. Interfatial Tension(IFT) The Interfacial Tension (IFT) measures the tension at the in terface between two liquid (oil and water) which do not mix and is expressed in dyne/cm. Good oil will have an interfacial tension of between 40 and 50 dynes/cm. 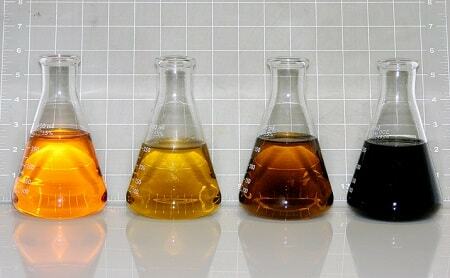 Oil oxidation products lower he interfacial tension and have an affinity for both water (hydrophilic) and oil. This affinity for both substances lowers the IFT. The greater the concentration of contaminants, the lower the IFT, with a badly deteriorated oil having an IFT of 18 dynes/cm or less. 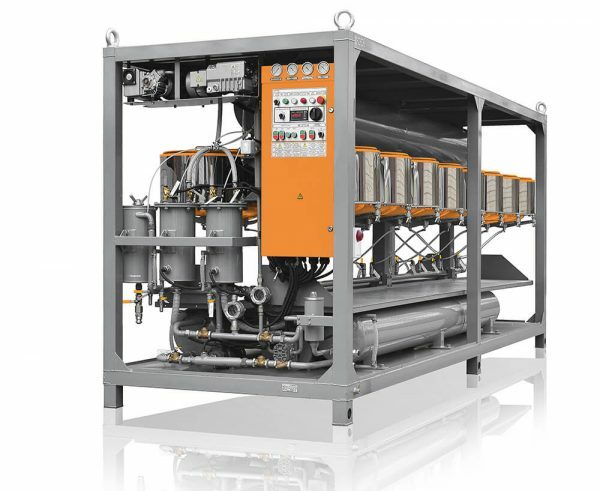 Degassing is removing of dissolved gases from liquids that can be possible in different ways. Oil degassing is necessary when the compounds they are working on are possibly air- or oxygen-sensitive, or when bubble formation at solid-liquid interfaces becomes a problem. It is well known that oil moisture significantly reduces the insulating properties of the transformer oil. The influence of moisture varies depending on the temperature and amount of moisture and the condition in which it is present in a dielectric fluid. The oil moisture can be present in three states: emulsion, solution and sedimented (deposited at the bottom of the tank). 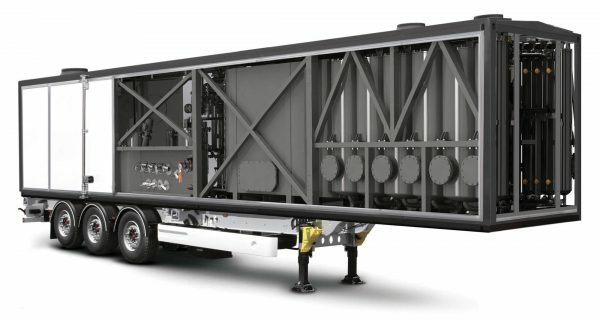 Emulsified water significantly reduces the dielectric strength of oil. So in this case it is necessary to proceed dehydration. It can be done through different techniques. 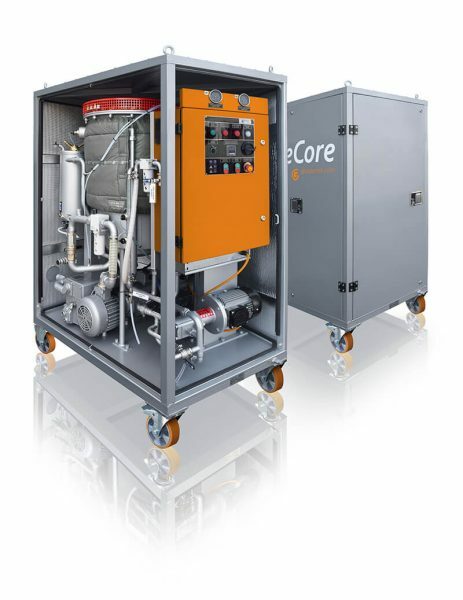 Company GlobeCore has the unique inventions that consider combination of different physical and chemical techniсs for oil purification, regeneration, degassing and other operations.